2. We can customize all kinds of skeleton / grating /sieve bucket as you reqirements,dig type,clean type,with tooth,bolted cutting edge,heavy duty design,rock design,etc. 3. Our welding is very good, all of our welding is manual welding. 4. 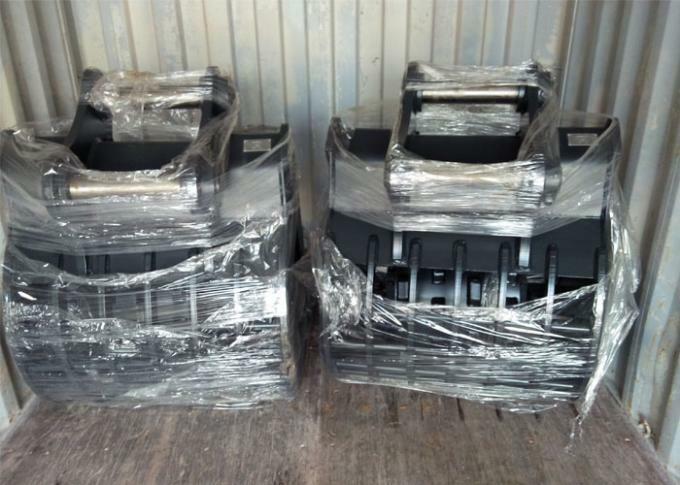 We are professional in designning and manufacturing all kinds of excavator buckets,such as tilt buckets, trenching buckets,skeleton buckets,and other special buckets etc. Our company is CE, SGS and ISO9001:2008 approved. 5. 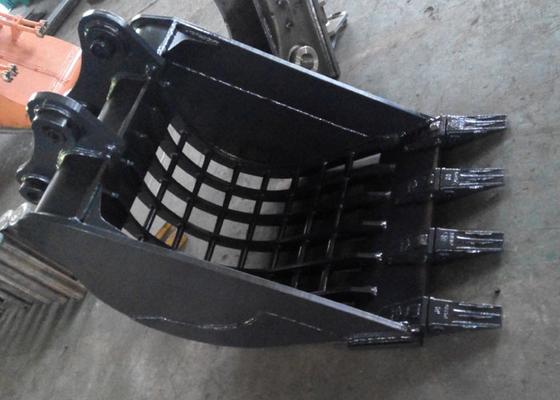 All the structure material of this PC120 grating bucket is Q345B,customer only use these buckets do light work. For rough work case,we will use Hardox450 as the tooth-plate,side plate,and gusset-plate. 8. All of our items are provided 6 month warranty.